According to a new report by the Wall Street Journal, the NSA’s vast snooping operation has the ability to spy on 75% of all internet traffic within the U.S. This new revelation contradicts previous statements made by government officials regarding the ability and reach of the NSA’s internet spying capabilities. Through its cooperation and infiltration of most private telecommunications companies, the Federal government scours the massive data traveling on global communication networks in search of “suspicious” conversations. According to the NSA, “suspicious” communications are calls made to or from countries outside the U.S., as well as international communications that happen to travel through U.S. communications networks. Meanwhile, the U.S. Department of Homeland Security has reportedly been busy working with military contractors on a new face scanning technology that can automatically identify people by their faces within large crowds. DHS claims that this technology, called BOSS (Biometric Optical Surveillance System) is still in its infancy and is not yet fully functional. And to further equip local police departments across the nation, the FBI is rolling out its Next Generation Identification, a new billion dollar program that will provide a vast national database of mugshots. This new database should dovetail nicely with the new facial scanning technologies currently being tested. In essence, the Federal government is tightening its cooperation with local law enforcement officials in order to equip them with its dangerous snooping technologies. The company that is driving this application, Mutualink, is already an active service provider to NATO Special Operations Forces and DHS. The architecture for a total surveillance state in America has long been established. Now that the plans for an integrated U.S. police state — from the Federal to the local level — are in their final stages, the American people appear to just now be waking up. In the quest to keep Americans “safe” in the wake of 9/11, Washington’s unelected bureaucrats have steamrolled the Bill of Rights. In a free and open society, it would be up to the citizenry to decide whether such intrusive surveillance plans were acceptable. Instead, Washington has rammed many of these covert spying measures by the NSA down the throats of every American without their permission or consent. 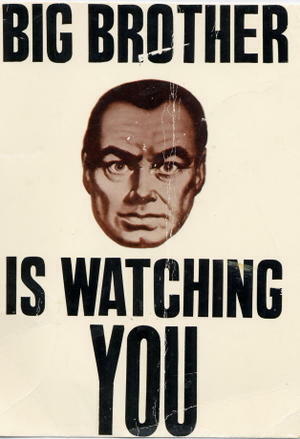 Admittedly, our options for fighting this massive surveillance state are few. One short-term solution would be to go “off the grid,” that is to abandon the use of virtually all telecommunications in an effort to maintain a semblance of privacy. However, this seems far too severe for most people. Perhaps a better, and certainly more long-term solution would be to hold a national referendum vote on whether to continue funding the NSA and DHS. After all, it is your money that is being used to design and craft this new Orwellian world. In one sign of hope, Rep. Justin Amash (R-MI) recently introduced a bill into Congress calling for the defunding of the NSA. Despite receiving massive support, the bill was shot down after a vote of 205-217. You can learn more about those ongoing efforts here. But in the final analysis, this all comes down to you, the American taxpayer. And is this Brave New World, that has been hatched under the cover of darkness somewhere in Washington’s halls of power, really what you would want for your children and your grandchildren? If not, now is the time to speak up and let your voice be heard. America, it is time to decide.